This year’s ARDA World Convention and Exposition will be in Hollywood, Florida, and is expected to attract over 2,000 attendees from all facets of the vacation ownership industry. 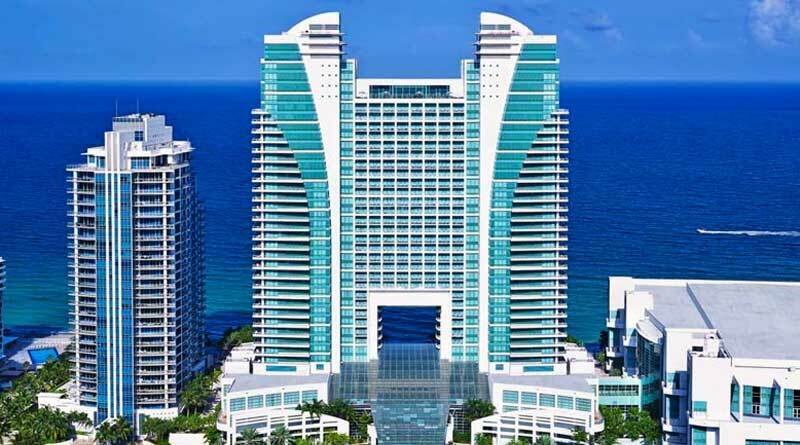 The annual convention will be held May 1-5, 2016, at the The Diplomat Resort & Spa in Hollywood, Florida. This international event will provide an opportunity for leading professionals to come together to learn and share best practices and ideas. Five days of meetings, educational sessions, exhibitions and fun will give attendees the chance to network with their peers, develop new business relationships and bring back fresh, new ideas to their teams. This year’s Convention features an impressive line-up of speakers and entertainers—including keynote speaker Jonathan Perelman, former Vice President of BuzzFeed Motion Pictures & former Global Lead for Industry Relations at Google, who will discuss the future of digital marketing. Additional highlights of this year’s ARDA World include the 15th Annual AIF Open Golf Tournament supporting industry research and education, the annual Awards Gala recognizing outstanding work in our industry, the Breakfast of Champions featuring keynote speaker Curt Cronin, a former Navy Seal with expertise on leading high-performance teams, and of course the highly anticipated CEO session. This year’s CEO panel will include Franz Hanning (Wyndham Vacation Ownership), Mark Wang (Hilton Grand Vacations), Ken Potrock (Disney Vacation Club), Don Harrill (Holiday Inn Club Vacations) and Jon Fredricks (Welk Resorts). For the second year, ARDA World will feature a “Digital Zone” at the entrance to the exhibition floor, where attendees can engage in social media discussions, ask questions of the speakers and network with each other. ARDA World fans can follow @ARDAorg on Twitter and join the convention conversation using the hashtag #ARDAWorld. Registration for ARDA World is still open, and limited sponsorships are still available. For more information about the 2016 ARDA World Convention, visit the ARDA World website. The American Resort Development Association (ARDA) is the Washington D.C.-based professional association representing the vacation ownership and resort development industries. Established in 1969, ARDA today has almost 1,000 members ranging from privately held firms to publicly traded companies and international corporations with expertise in shared ownership interests in leisure real estate.